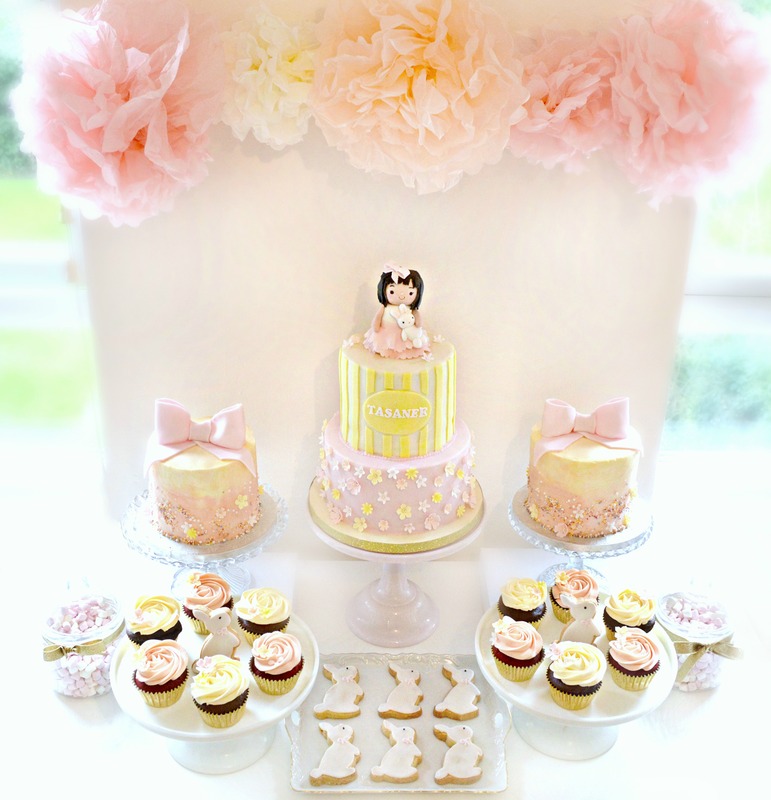 A pink and cream bunny rabbit themed cake table I made for Tasanee first birthday party at Reigate Hill Golf Club Surrey. 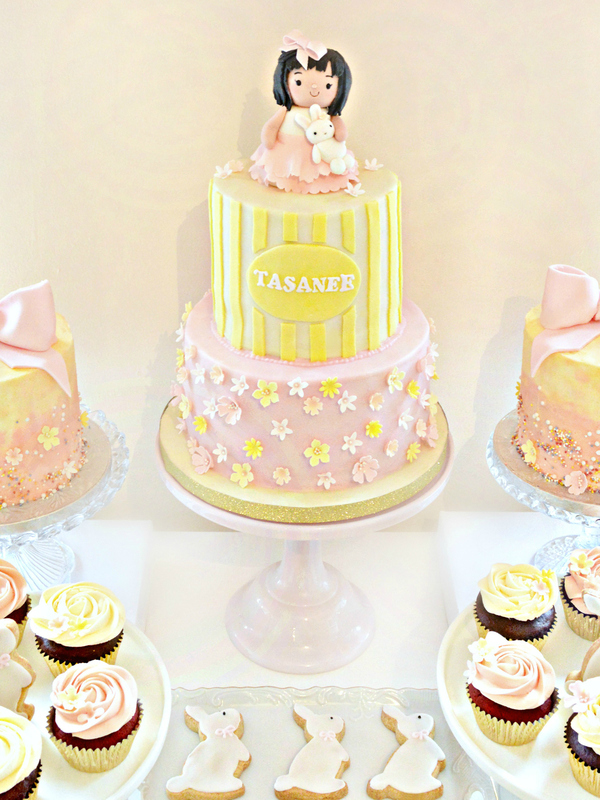 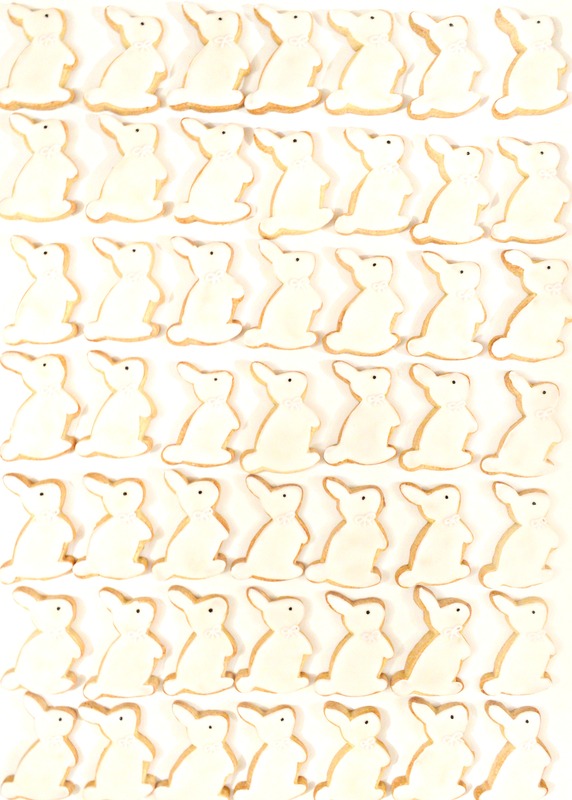 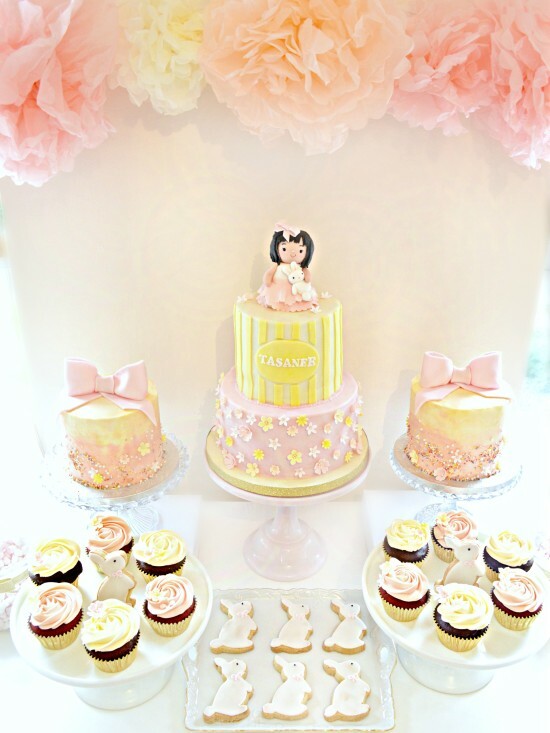 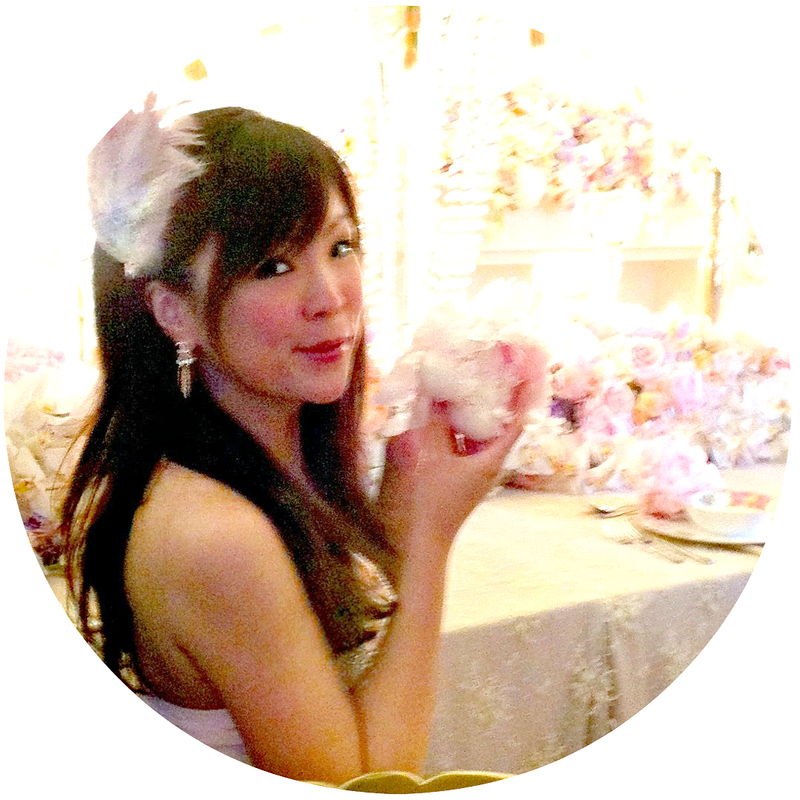 This theme was designed by her sweet mommy Sajitha because little Tasanee likes little bunny rabbits. 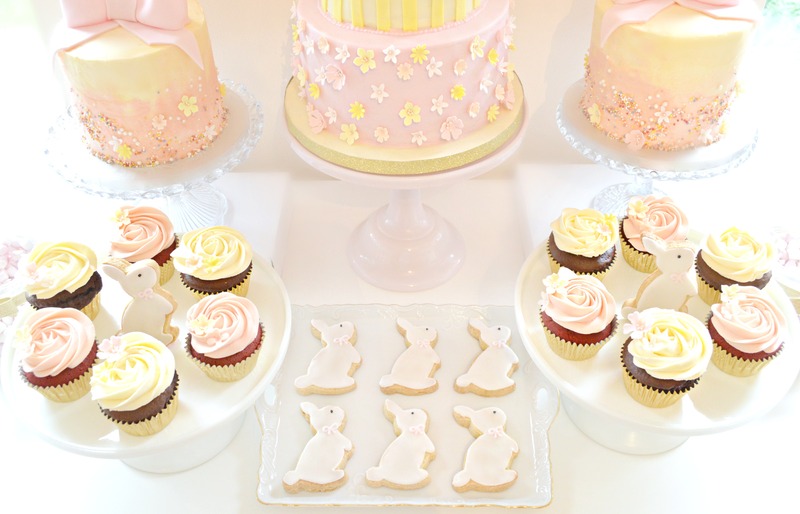 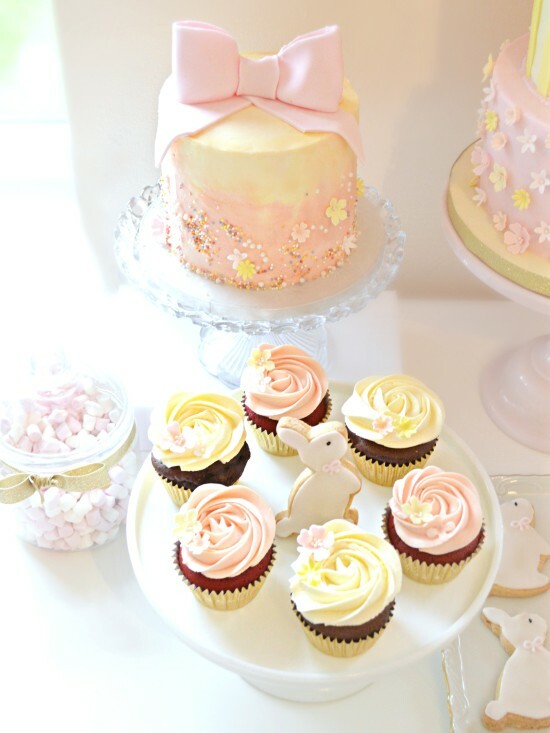 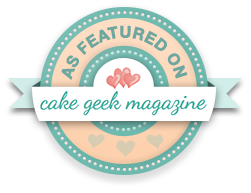 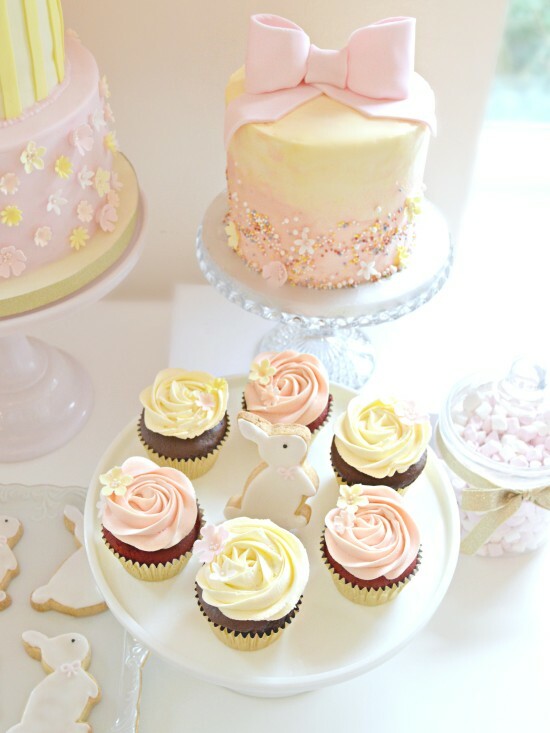 The centre cake was rainbow cake with Tansanee as the little girl cake topper, the two buttercream cakes on the side was chocolate and latte cake, the cupcakes were chocolate and red velvet, the bunny rabbit cookies were vanilla flavour.